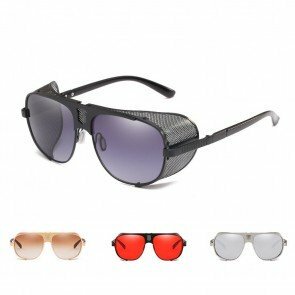 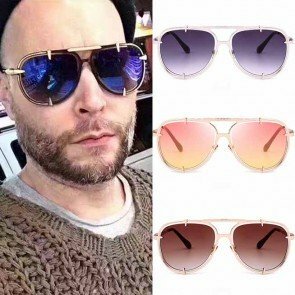 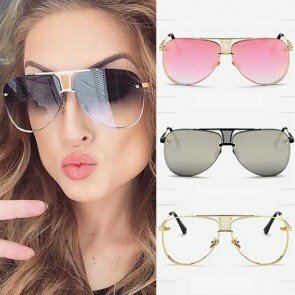 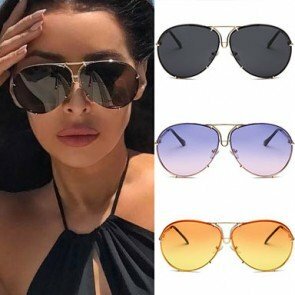 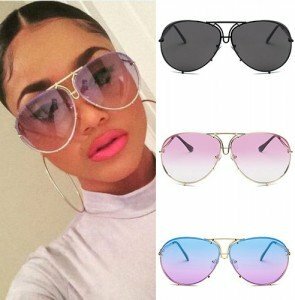 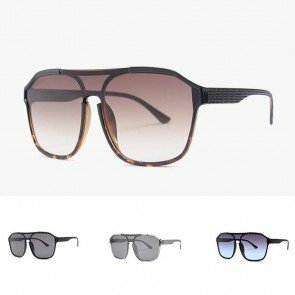 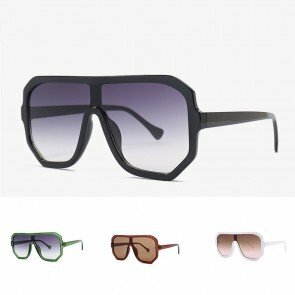 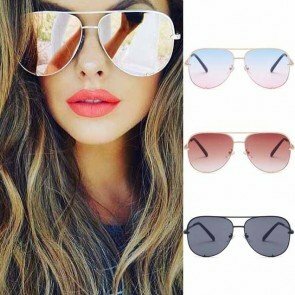 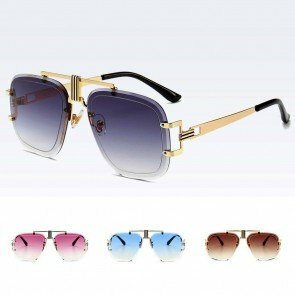 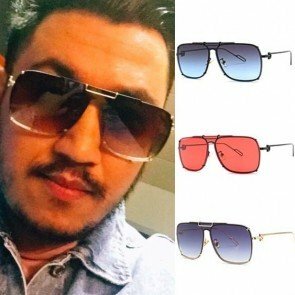 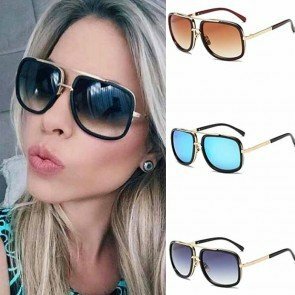 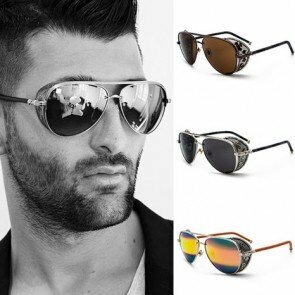 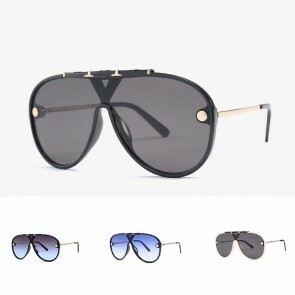 Aviator (Pilot) sunglasses are a style of sunglasses that were developed by Bausch & Lomb. 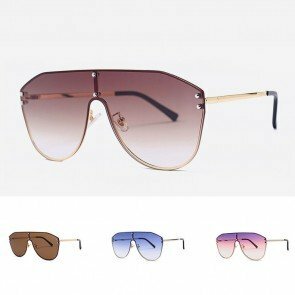 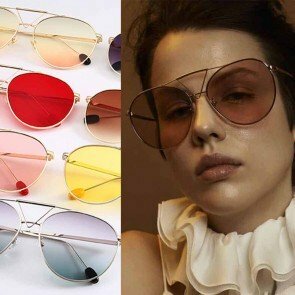 The original Bausch & Lomb design is now marketed as Ray-Ban Aviators, although other manufacturers also produce aviator style sunglasses. 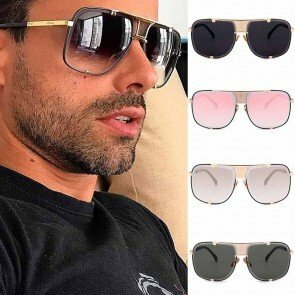 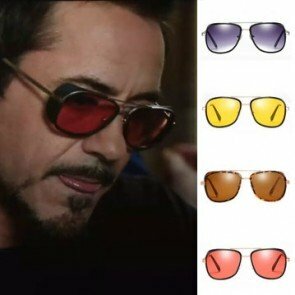 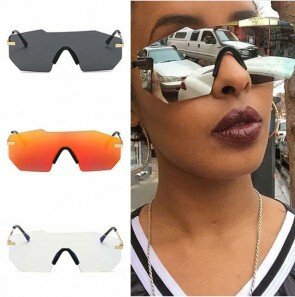 They are characterized by dark, often reflective lenses having an area two or three times the area of the eyeball, and very thin metal frames with double or triple bridge (so-called ″bullet hole″) and bayonet earpieces or flexible cable temples that hook behind the ears. 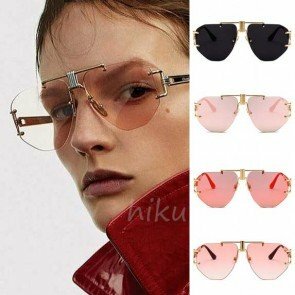 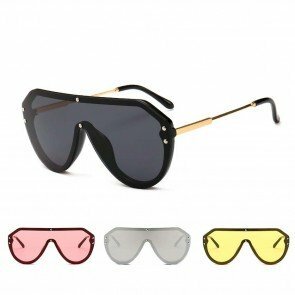 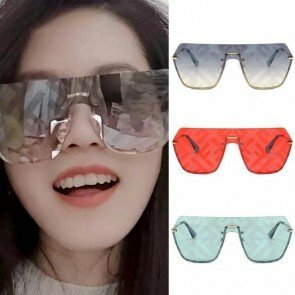 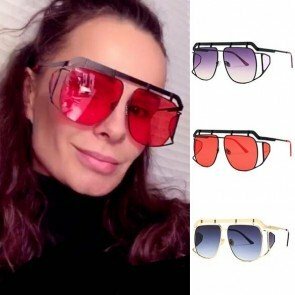 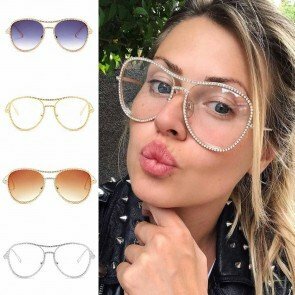 The large lenses are not flat but slightly convex. 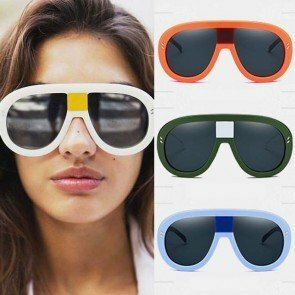 The design attempts to cover the entire range of the human eye and prevent as much light as possible from entering the eye from any angle.